Bates College junior Dinos Lefkaritis Jr., a skier, is the sole athlete representing his native Cyprus at the Winter Games in South Korea. If a medal isn’t a realistic possibility, the next-best honor at the Olympic Games might be carrying your country’s flag in the Opening Ceremonies. Dinos Lefkaritis Jr., a junior at Bates College, did so a little more than a week ago inside the Olympic Stadium in PyeongChang, South Korea. Lefkaritis led the athletes’ contingent from Cyprus into the stadium. Actually, he IS the contingent. An Alpine skier, Lefkaritis, 25, is the only Cypriot competing in these Winter Olympics. Dinos LefKaritis Jr., coach calls him very humble and hard-working. Lefkaritis raced in the men’s giant slalom Sunday – late Saturday for those of us in Maine – and plans to ski again in Thursday’s slalom. The population of Cyprus, an island in the eastern Mediterranean Sea, is roughly 1.2 million, a shade under that of Maine. Only one Cypriot has won an Olympic medal, a silver medal in 2012 by Pavlos Kontides in sailing. “But they do pay attention in Cyprus for sure,” said Lia Riri, a native of Cyprus who works in Washington, D.C. “They have an affinity with the Olympic Games whether it’s winter or summer due to our descent from Greece and pride of Olympics. Lefkaritis began skiing at the age of 5. He said Cyprus has four slopes and the snow is unpredictable. He didn’t get serious about skiing until he started racing, around 16, and soon realized he needed to travel more for training and racing. He discovered Bates while searching for a way to combine academics and high-level ski racing. The Bobcats are a Division III school that competes in the Eastern Intercollegiate Ski Association alongside the likes of Division I skiing powerhouses Vermont, New Hampshire and Dartmouth. Injuries cost Lefkaritis the two seasons of competitive skiing before he enrolled at Bates and he was still rehabbing during his freshman and sophomore years. His best carnival finish was 47th in giant slalom when Bates hosted the event last winter at Sunday River. 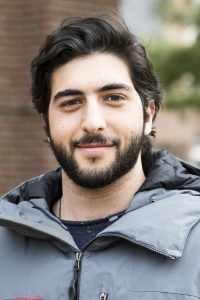 An ankle injury over the summer along with the continued 18-month quest to qualify for his country’s lone Olympic spot – he beat out five other Cypriot hopefuls by achieving the highest ranking in FIS racing as of Jan. 22 – prompted Lefkaritis to put a hold on his studies at Bates. Had he not qualified for PyeongChang, he would have returned next semester. Now he plans to be back in September. Holland planned to watch the giant slalom with the remaining 19 members of the Bates Alpine team on their way back from a competition, the Williams Carnival, in western Massachusetts. It should be a little easier for Thursday’s slalom race. Holland said Lefkaritis, who took the year off from school in order to concentrate on training and qualifying for the Games, stays in touch with the Bobcats. Lefkaritis’ younger sister, mother and father are with him in South Korea. 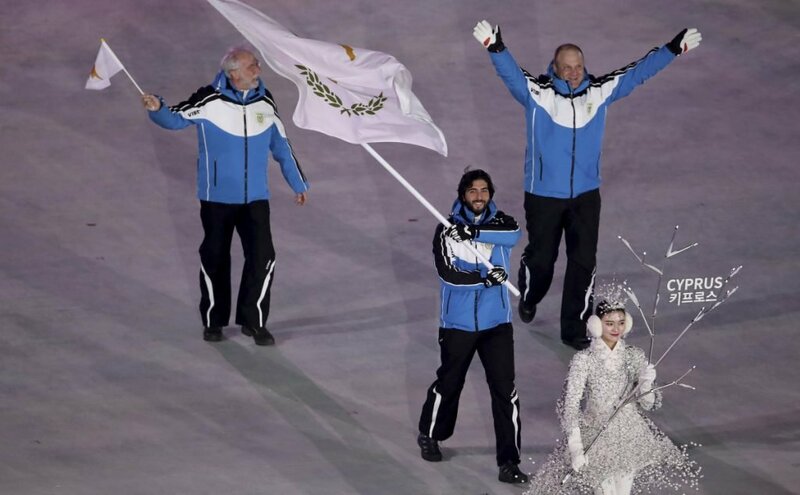 His father, who serves as president of the Cyprus ski federation, also marched in the Parade of Nations, as did a Cyprus coach. Holland said Lefkaritis will be wearing a Bates shirt beneath his racing suit. 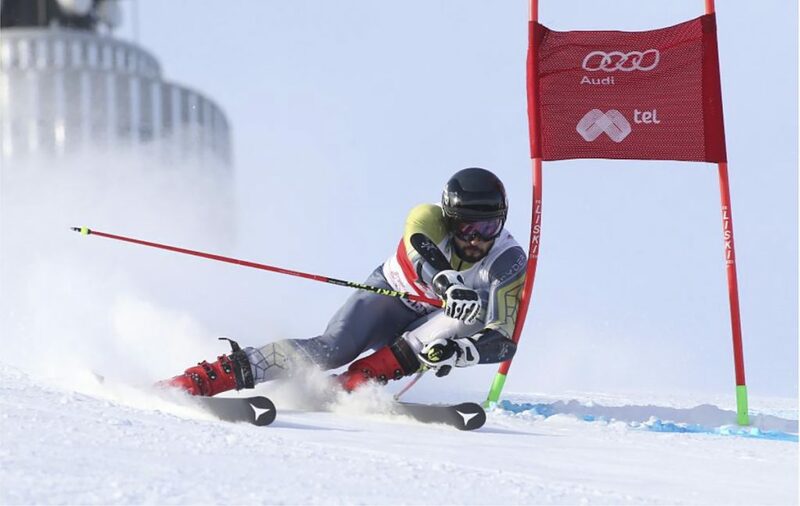 He is the school’s 12th Olympic athlete, and second Alpine skier, joining Australian Emily Bamford, who attended the school for two years and took part in the 2014 Games. Competing in an event that includes Sochi gold medalist Ted Ligety of the United States and top Austrian and Norwegian skiers might be intimidating for some, but Holland figured Lefkaritis would be able to maintain his poise.